Eggnog seems to be one of those things that people either love or hate. I don’t like to drink eggnog but I love the flavor. 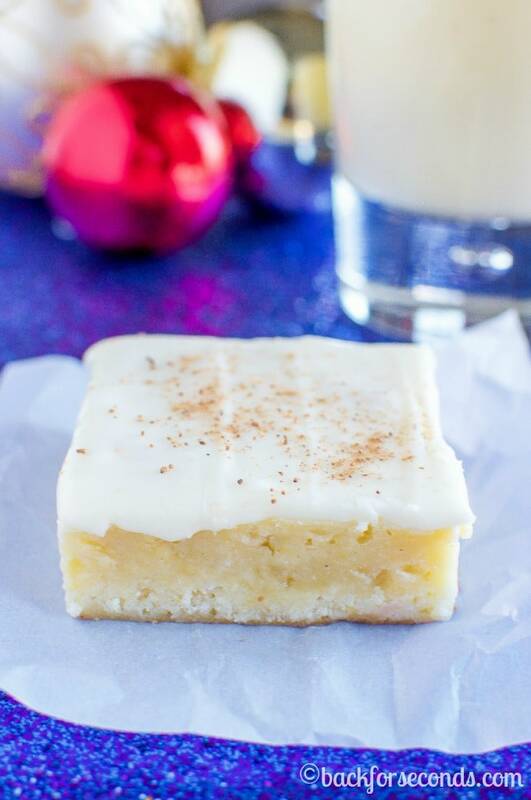 So baking things like this Eggog Texas Sheet Cake, or these (incredible) Eggnog Blossoms with it is the perfect solution! Then whatever is left in the carton, my kids happily drink. They talk about “neggnog” for months afterwards, and then when it arrives back on store shelves the next Christmas, they are thrilled! I always get excited too, when eggnog season rolls back around. It just tastes like Christmas time, and I love coming up with new ways to use it in treats for gifts, parties, and my massive Christmas cookie trays that I create each year. Do you do that too? Make ridiculous amounts of cookies, candy, and fudge each Christmas? I make one for my family, one for the get together with my husbands side of the family, and one for my side of the family. And usually I end up with such mass amounts of treats that every party we attend, every neighbor, and our church all end up with their own trays as well. I don’t know why I do this. I mean, I bake all year round. I bake for a living. Yet I still get carried away this time of year. I don’t hear anyone complaining, so this is just the way it’s going to stay. Now because I have a slight obsession with brownies, it was only a matter of time before I came up with an eggnog version. 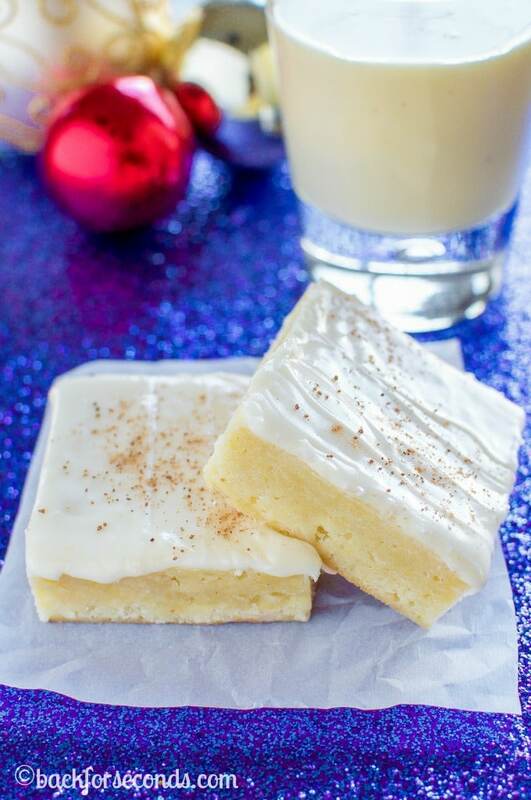 They have the chewy, fudgy texture of a brownie, and the flavor of an eggnog spiked sugar cookie! These are truly delicious and they are a really easy, fun new way to enjoy this seasonal flavor! You can certainly eat them plain, but I thought a glaze seemed like the perfect special touch to take these brownies to a new level of yum! A little dash of nutmeg on top, and these are holiday party ready! 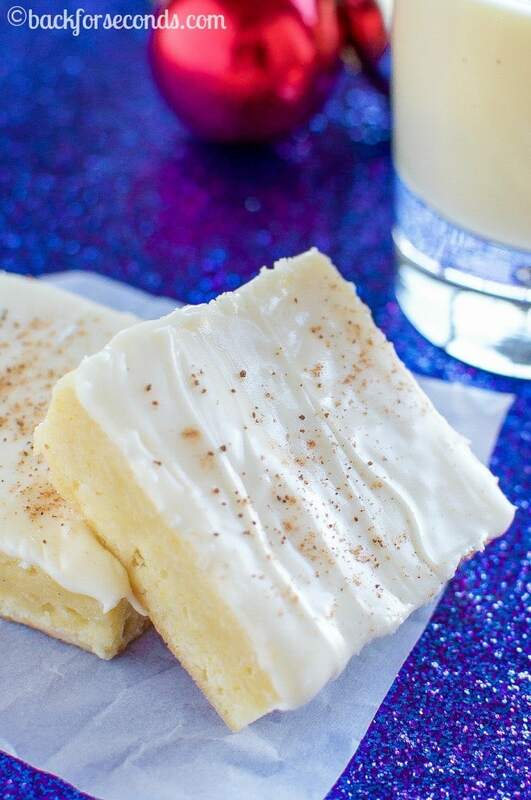 These eggnog brownies look incredible – love the rum flavor, though I might be sneaky and use actual rum. 😉 Can’t wait to give this recipe a try! This quite possibly might be my favorite holiday brownie ever! Holy yum! These look outrageous! I want to make them with the eggnog I have! Eggnog for the win! 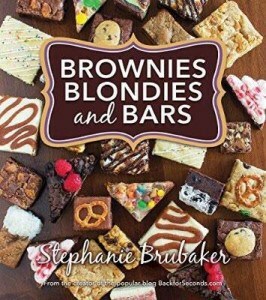 These are my kind of brownies! These look great Stephanie! I should make them for my brother. He loves eggnog so much he went on a diet and lost 7 pounds before Christmas one year, just so he could drink unlimited amounts of eggnog. He gained every pound back. Haha! 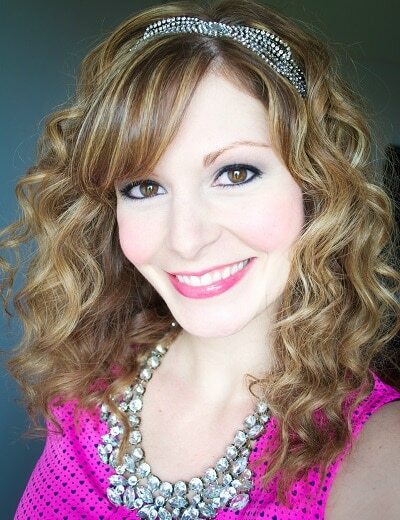 Stephanie–these are so creative! I love them and they look fabulous!! do i need the rum extract or can i sub it with another flavor? The rum gives them more of an eggnog flavor, but you could just use vanilla if you’d rather not use rum extract 🙂 Enjoy!